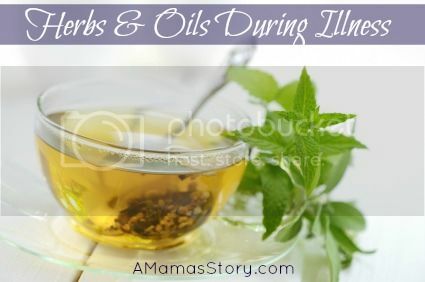 Since so many ask how I use herbs and essential oils in real life, I posted a brief rundown of a recent illness on my Facebook page. While I’m a Family Herbalist, I’m not a licensed doctor and information isn’t to be taken as medical advice. 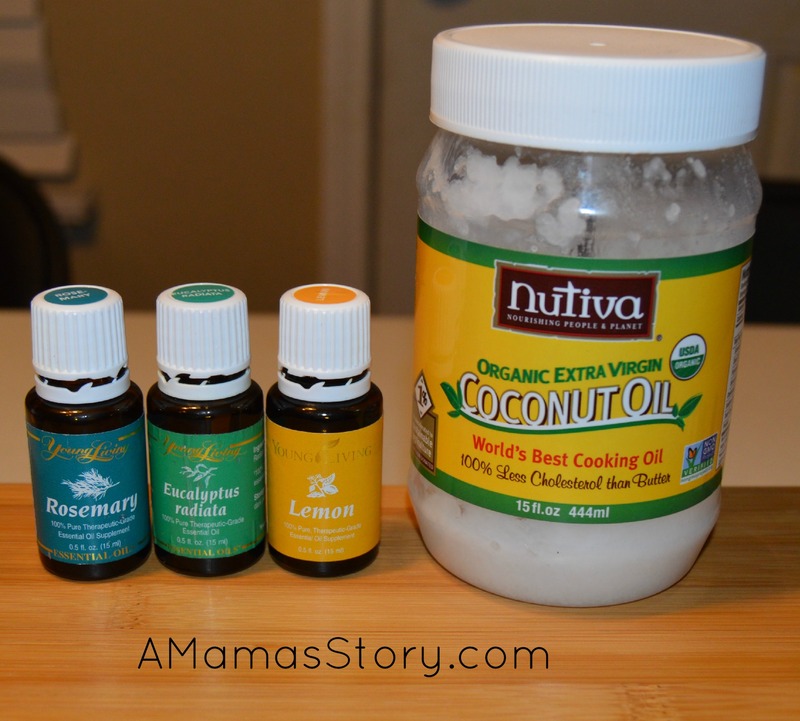 I’ve used natural remedies in my home for years and feel confident addressing my family’s needs. I also have a great relationship with our Pediatrician, who knows our family well. If at any point I feel my children need medical attention, we’re there. Please consult with your health care provider for suggestions that pertain to your unique needs. Around 2:15 Thursday morning, my young son woke me crying. He was congested, irritable, and felt hot. Since his symptoms came on suddenly, I was extra vigilant. His temp was 102. I took note of his demeanor. He seemed to be OK otherwise, so I felt confident that with some extra attention, I could see him through this at home. If his temperature continued to rise or if he was behaving unusually, I would re-assess. Eucalyptus Radiata Considered a more appropriate form for young children, Eucalyptus Radiata is listed as an antibacterial, antiviral, expectorant, and anti-inflammatory. Application is usually topical or via diffusion. Even though Eucalyptus Radiata is considered the best type for young children, Eucalyptus has a high cineole content and considered contraindicated for infants. 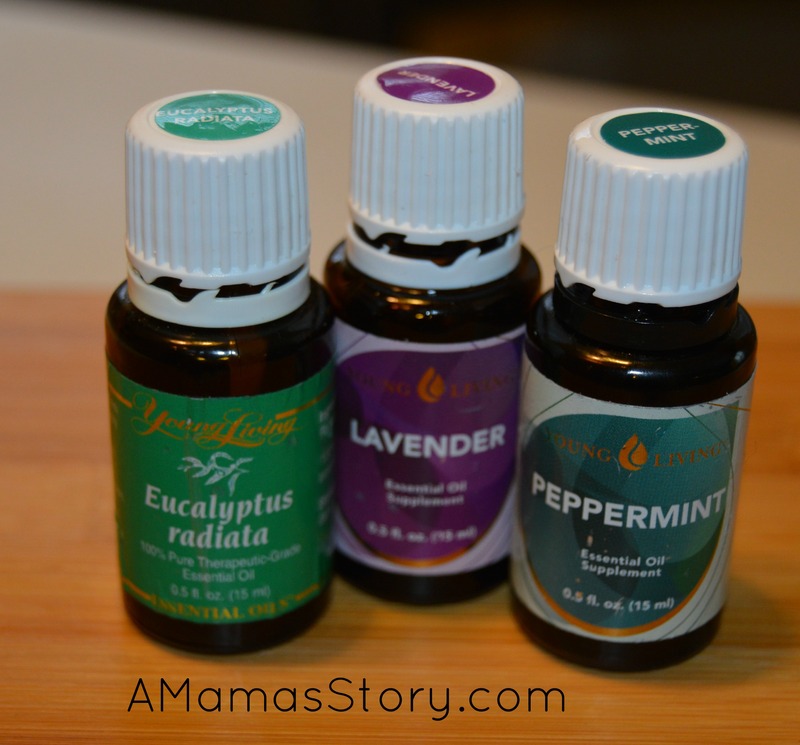 For this reason, many moms apply diluted Eucalyptus to their own chests, allowing the child to take it in passively. I’ve also read of some who apply it to the baby’s or toddler’s feet. The caution I’ve read regarding Eucalyptus on their feet is that many babies like to put their feet in their mouth, which is what you want to avoid. Even if you put socks over the feet, the oil can seep through. Use your best judgment, and do what you’re comfortable with. Eucalyptus oil should never be applied to a baby’s face. Peppermint Peppermint is considered an antiviral, antibacterial, anti-inflammatory, and analgesic. It’s usually not recommended for children under the age of six, but I’ve seen it listed as OK for children over the age of two, as long as it’s very well diluted, so use with caution. I’ve also seen lactation listed as a contraindication, as peppermint oil is considered an antigalactagogue. Lavender An anti-inflammatory, analgesic oil which is known for calming and relieving tension, lavender is an excellent all-purpose oil that’s often used to help with anxiety, headaches, coughs, and promoting overall comfort. As of the time of this writing, I haven’t read of any contraindications in my Herbals, only that when in doubt, dilute well. Thieves Based on the legend of the four thieves, Thieves oil is known for having an antiviral, antiseptic, immune boosting effect. It contains Clove, Lemon, Cinnamon Bark, Eucalyptus Radiata, and Rosemary Cineol. Use with caution during pregnancy. Lemon Lemon is known for having antiseptic, antifungal, antiviral, and antioxidant properties. I’ve read conflicting reports regarding lemon in my Herbals. Some authors write that lemon is an ideal oil to diffuse in large groups because of its air purifying effects while others say that it should be used with caution in children over the age of six and not in children under the age of six. Most of these notes refer to internal use. 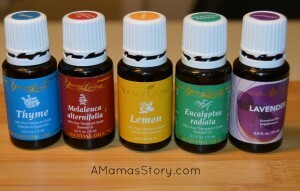 Because lemon essential oil is photo-toxic, avoid UV or sun exposure for a couple of hours after applying. 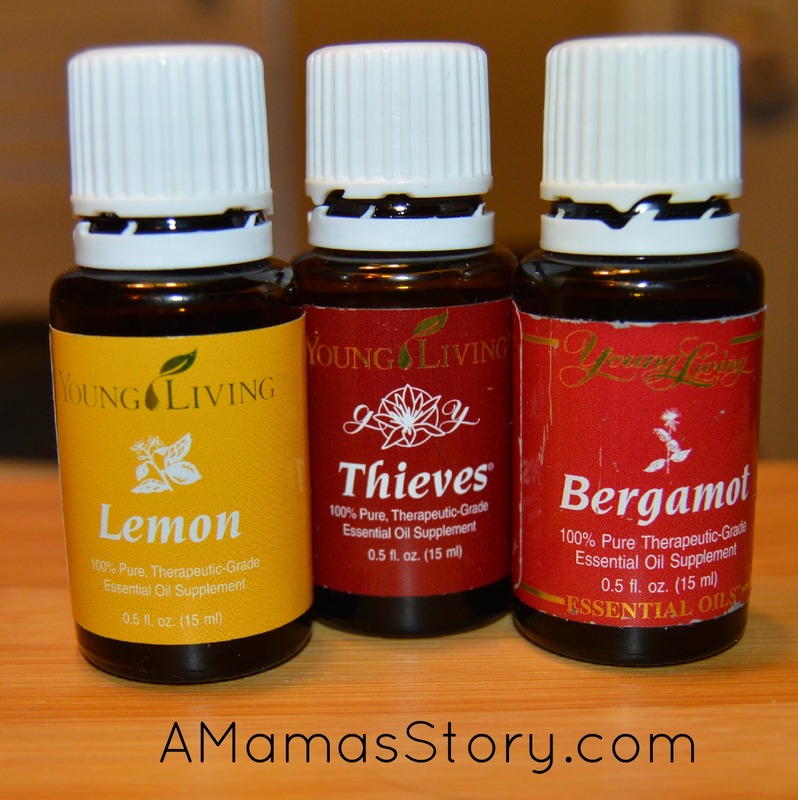 Bergamot My personal favorite oil! Bergamot has become my new “if you could only get one oil, get this one!” An antiviral, antibacterial, antiseptic with the ability to possibly lift moods and calm nerves, this oil is ideal to diffuse during the cold and flu season. Like lemon, bergamot is considered photo-toxic, so if you’re applying it topically, be sure to dilute well and avoid sun and UV exposure for a couple of hours after applying. I’ve read that it’s contraindicated for children under the age of six, but like lemon, all notes mention internal use. Elderberry Known for being an excellent immune booster, Elderberry is beneficial to any home during cold and flu season. Also considered a blood purifier, it may have a cleansing effect on the body. While elderberry is considered generally safe to take, it should be prepared properly, since the roots, bark, leaves, seeds, and raw berries contain cyanide and should never be consumed raw. I’ve also read that if your child is taking medication that increases urination, to speak with your care provider before taking. Echinacea An anti-inflammatory and immune stimulant, echinacea is reserved for use at the first sign of symptoms. Contraindications I’ve read of include auto-immune disorders, progressive diseases, babies under the age of 2, or people who are allergic to flowers in the daisy family. Individuals who are taking immunosuppressant therapy will need to speak with their care provider before taking. Astragalus An immune stimulant, Astragalus has been shown to reduce the number and duration of colds in those who take it regularly. I’ve often read of it being considered a “wonder herb.” As of now, the only contraindication I’ve read of is for those taking immune suppressing drugs. Like Echinacea, Astragalus usually works best when taken at the first sign of illness. A good, reputable probiotic Look for a probiotic in the refrigerator section that contains 2 to 6 billion strains. Getting probiotics through probiotic rich foods is great, but it’s also nice to have something to grab from the refrigerator when in a pinch. My Naturopath suggests changing up the brand each time, so that your body is able to utilize a variety of strains. Elderberry If I don’t have a homemade syrup on hand, I like Sambucus for Kids and Elderberry Concentrate by Wyldewood Cellars, which is my personal preference. While they’ve all had maintenance doses of elderberry, I give the ones who are sick a little extra. D3 on the days when we can’t go outside for sunshine. I use whatever brand my Naturopath has in stock, because I know how particular she is about supplements. We currently use one by Nature’s Sunshine. By morning his temperature was 97.9, and he was back to his usual self with some lingering congestion. As of today (Saturday), his fever hasn’t returned and the congestion is easing. Over the course of the following days, I continued giving him Echinacea, Astragalus, and Elderberry and applying the diluted essential oil massage mixture. When this Mama came down with a bout, I had to be even more careful since I’m pregnant. 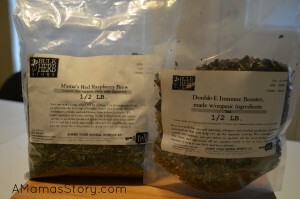 I alternated warm cups of Mama’s Red Raspberry Brew and the Double E Immune Booster, with an extra dose of the Elderberry Concentrate from above. Raven I’ve often referred to Raven as Eucalyptus on steroids! 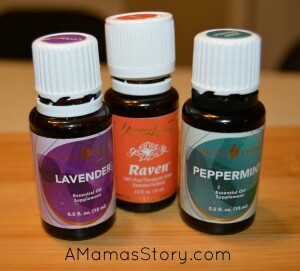 Raven is great if you have any kind of respiratory problem in your home and contains Ravensara, Lemon, Wintergreen, Peppermint, and Eucalyptus Radiata. Some alternate Raven with RC, which I did when my husband had pneumonia. I’ve read notes not to use Raven on children under the age of 6, so I stick with the Eucalyptus Radiata for the younger ones. Several readers asked about appropriate dosing. First, I believe that homemade remedies (such as homemade elderberry syrup, the Double E Immune Booster, etc) are far more potent than what you’ll find in a store, but every homemade remedy is different. Because of the uniqueness in strengths, it’s difficult for me to determine an appropriate dose as your homemade remedy will be different from mine. If you choose a blend or a kit from Bulk Herb Store, dosing information is included with the instructions, but again use your own judgment based on how you’ve created your own custom tincture or honey. For example, if I’m administering a dose of a standard homemade tincture, I give 3 droppersful (using BHS’s Amber Bottles) to the grown-ups each hour while symptoms continue. If I’m giving a honey to my children, I’ll give 1 tablespoon of medicinal honey an hour. But, if I’ve made a weaker or stronger tincture or honey, the dosage amount could change, especially depending on the age and weight of the child. If you’re not using a homemade remedy, I like the products from Herbs for Kids, which has dosing information based on weight/age on the bottle and measuring directly on the dropper. Many of their products are targeted for children age 1 and up, so read the labels carefully before purchasing. 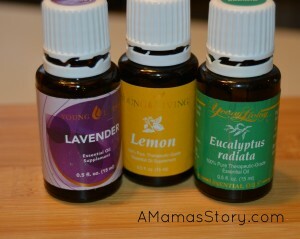 When my other children showed signs, not only did we begin with the above remedies, they selected a few oils for a bath. Not all the oils in this bath or the following massage oil are suitable for pregnancy, lactation, or for children under the age of 6, so they’re considered best for older children and non-pregnant, non-lactating adults. 2 drops Thyme Highly antibacterial, antiviral, and an antiseptic, thyme may be beneficial for colds, bacterial infections, and strengthening the immune system. 2 drops Melaleuca (Alternifolia) Considered an expectorant, antibacterial, decongestant, and an antiviral, this oil may be beneficial for coughs, colds, viral infections, and bronchitis. 3 drops Rosemary Considered antibacterial, anti-infectious, and an expectorant, Rosemary may be beneficial for respiratory trouble and boosting the immune system. Contraindications include pregnancy, children under the age of 6, high blood pressure, and epilepsy. There you go! I hope the above information is helpful. 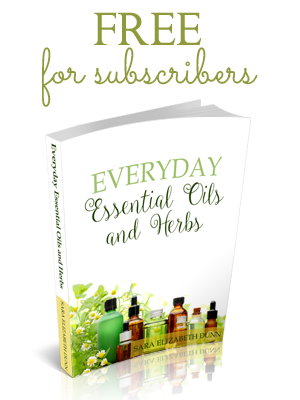 If you’re looking for a more formal study on botanical remedies or essential oils, I highly recommend any of the courses from Vintage Remedies. I like their evidence-based approach, so I know I can trust what I’m learning. Information is for educational purposes only. Statements haven’t been evaluated by the Food and Drug Administration. This is random but I’m curious if you bought the label stickers for the top of your YL bottles? Those would be so helpful! Also, I, curious other than thieves which oils you try to stay away from during pregnancy. I’m part of an oil group that tends to think anything is safe anytime. Yes I do have the stickers on the top of the bottles. 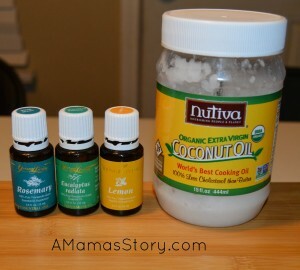 It’s difficult for me to go through every single oil that’s contraindicated for pregnancy. 🙂 Most herbalists recommend avoiding herbs and oils altogether during pregnancy. Even though I’m comfortable with them, I still consult with my Naturopath or Midwife, if I have any concerns. If you choose to use oils, make sure they’re diluted. There’s also a book called Gentle Babies which I love, and it covers herbs and oils that the author feels are suitable. Remember that each person is different, as is each pregnancy, so I always recommend finding a reputable and knowledgeable practitioner who can work with you to help you wade through choices that are suitable for your unique needs.